Everyone has a budget. From struggling college students to the richest CEOs in the world, we all have planned (and unplanned) expenses that must be accounted for each month. That’s why it makes sense to put a strategy in place that will help you not only cover all expenses, but also save for a rainy day. Have you ever got to the end of the month and wondered where all your hard-earned cash went? While the days and weeks are busy, it’s easy to lose track of spending. The good news is that by writing this information down in checkbook/ledger, or entering into online or into your smartphone, you can get a better handle on what funds are going where. Sometimes, every dollar is carefully earmarked, but you just need a bit of assistance to make ends meet for that month. Luckily, your nearest pawn shop can help. When you bring in your vehicle in good working condition with a clean title in your name, the friendly and knowledgeable staff at Auto Pawn will get to work right away. We’ll offer you the best deal possible so you can quickly get back to the other important items on your to-do list. Life can get boring without a few simple pleasures. At the same time, it’s wise to know which things are “must haves” and what items could be saved for a later purchase. That process starts by listing your monthly expenses, and then recording all sources of income. Next, determine which costs are fixed and which ones are variable. For example, fixed expenses include rent/mortgage, utility bills, credit card payments, and similar. Meanwhile, variable costs are anything from groceries, gas, entertainment/dining out, gifts, and more. Keep in mind that you could have sources of income right now and not even be aware. For instance, did you know that Auto Pawn pays the most for gift cards and gold than other pawn shops in Daytona Beach? In addition, we pawn all types of vehicles. From cars, trucks, motorcycles, even boats, we’re interested in your vehicle. Life happens, and it doesn’t always go exactly according to plan. Sometimes you’ll be faced with payments you hadn’t planned for. That includes everything from medical expenses, to child care, traffic tickets and court costs, emergency home repairs, and similar. In addition, it’s always a good idea to set aside some cash for simply having fun. Maybe a relative is getting married this summer and you know you just have to be in attendance. Perhaps a friend has invited you to birthday bash and you want to help make it special with a nice gift and/or party details. 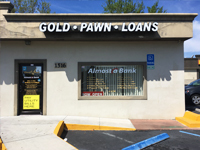 When you need fast cash, it’s nice to know that there are pawn shops in Palm Coast that can help you quickly, safely, and legally get the funds you require. Simply stop by any of our three convenient Volusia County locations to get started. Some people automatically turn to only a few selections for loans. They’ll go to a bank and put up with high-interest rates and unreasonable terms. Or, they’ll rack up credit card debt that could take years to pay off. There’s a better way. 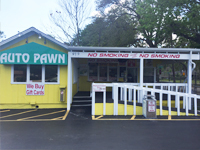 For example, did you know that there’s a pawn shop in DeLand that offers fair and straight-forward vehicle title loans? 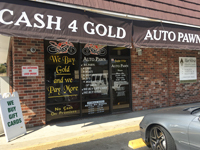 At Auto Pawn, we’ll also buy your unused/unwanted gift cards and gold, even broken jewelry. You simply won’t find that kind of reliability, flexibility, and opportunity anywhere else. That’s partly how we’ve built a solid reputation as the very best Orange City pawn shop. To get started, simply bring your vehicle in good working condition with a clean title in your name to any of our three Volusia County locations. And as always, feel free to contact us at any time with your questions. Now’s the ideal moment to take steps toward financial freedom this year.